Phillies radio broadcasters Scott Franzke, left, and Larry Andersen. Phillies pitchers and catchers report on February 13, but you won’t have to wait that long to hear the team’s excellent radio broadcast team talk about the upcoming season. 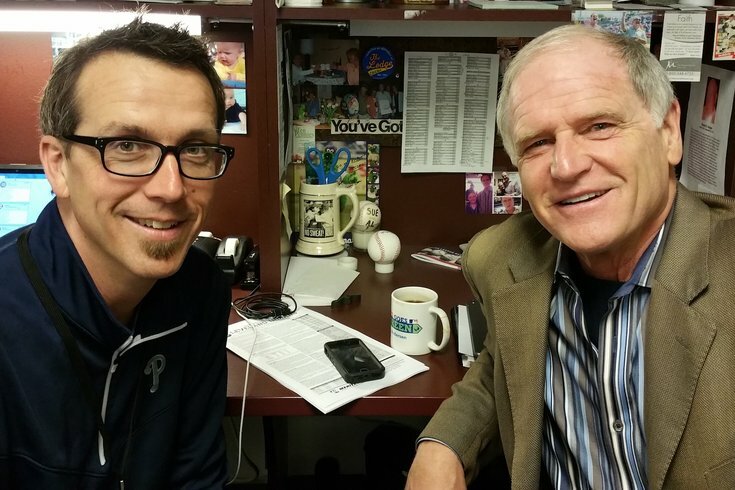 Phillies radio announcers Scott Franzke and Larry Andersen will host the new Hot Stove Show on SportsRadio 94WIP. Franzke and LA will look ahead to the 2017 Phillies season during four, one-hour long shows. The show will air on 94WIP every Wednesday in February from 6-7pm, beginning on February 1st, 2017 and ending on February 22nd, 2017. Manager Pete Mackanin recently said that he hopes the Phillies can play .500 this season, but regardless of how competitive the big league club is, it’s good to know that the all-star radio team will be there to take us through all of the season's twists and turns with a sense of humor.